solar modules. Renesola has a global presence with sales branches established in Europe, the Americas and the Asia-Pacific regions. Renesola sells solar panels as an OEM Solar Panel Producer which means that it sells its solar panels to companies who put their own brand names on solar panels produced by Renesola. Renesola is amongst thelowest cost Chinese solar panel manufacturers globally. SunPower (SPWR) is a US company which makes the most efficient solar panels using its monocrystalline solar cell technology. 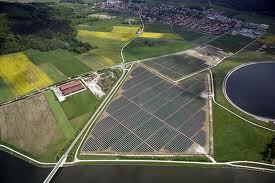 The company is a solar system integrator and developer as well, building some of the largest solar farms in the US. The company was bought by the French Oil Giant Total. Sunpower operates in all the main segments of the market and has reputation for selling some of the highest quality solar panels in the country. SunPower solar modules deliver 21.5% efficiency, which is very high and means that the customers get more electricity and lower electricity bills. SunPower solar panels perform well in conditions like low light, high temperatures and cloudy weather. SunPower uses Maxeon Cell technology which allows more sunlight absorption, grants an elegant design and provides more durability to the solar panels. Renesola solar modules come in Monocrystalline and multicrystalline make.The different monocrystalline solar modules from Renesola are: i) 156 black mono (250w-260w), ii) 125mono (190w-200w), iii) 156square mono (260w-270w) and iv) 156mono (250w-260w). The multicrystalline solar modules from Renesola are: VIRTUS VIRTUS II series. SunPower Solar panels are used for residential purposes primarily. They are classified into: i) SunPower X Series – X21-335 and X21-345, ii) SunPower E Series – SPR 327, iii) SunPower Signature Black Solar Panels and iv)SunPower AC Solar Panels – E 19/240. The cell types found in Renesola are 125×125 mm and 156×156 mm, whereas all SunPower Solar panels come in a monocrystalline make with 72 and 96 cell arrangements. The available wattage for SunPower solar modules are 240 W, 320 W, 327 W, 335 W and 345 W. For Renesola solar modules the wattage range is 190 W – 310 W.
SunPower solar panels have ~0-+5% power tolerance. Renesola solar modules come with a positive power tolerance of 0-+5W. Anodized aluminium alloy frame is common for both the companies’ solar panels. Weight for Renesola modules are 16 kg, 19 kg, 29 kg; whereas 17 kg – 18 kg is the standard weight for SunPower solar panels. Both solar panels can withstand upto 5400 pa wind speed and snow load. SunPower solar modules come with 25 years limited power and product warranty. Renesola solar modules have a limited product warranty – 10 years repair, replacement or refund remedy and 25 years limited peak power warranty – limited remedy. For more technical details read here: SunPower and Renesola.